Company Audio-Technica released new very professional 53 mm dynamic monitor headphones ATH-A1000Z with 5 Hz – 43 kHz reproducible sounds frequencies range, 2000 mW max input power, 101 dB/mW sensitivity and closed acoustic architecture. Impedance of headphones is equal to 44 Ohms, mass is 265 g; cable with 3 m length is attached to both cups, in it left and right channels have separate grounds, in contrast to many other headphones, it is connected to sound source via TRS 1/8″ mini jack connector with gold-plated contacts and is not detachable. Manufacturer tells, that there are additional techniques implemented to make amplitude frequency characteristic more even; cups bodies are made from aluminum for reduced chatter during audio playback. Audio-Technica ATH-A1000Z are not foldable and have no active noise-cancellation function, as some other monitor headphones do, but they have good isolation from external sounds; each cup has only 1 audio emitter. Coils of drivers are wound with use OFC-7N wire for mass reduction and better signal transmittance, yoke of magnet is made from pure iron, which allows to reproduce sounds with higher quality. PCB of Audio-Technica ATH-A1000Z is located in their top part, which allows air to move more freely in cups and also increases quality of reproduction of audio frequencies. Device uses technology Double Air Damping System ( D.A.D.S ), increasing quality and loudness of basses reproduction due to their resonance inside of headphones. Headband and cups are covered with soft material for comfortable wearing during long-time listening; they have no built-in microphone and smartphones and volume control buttons. 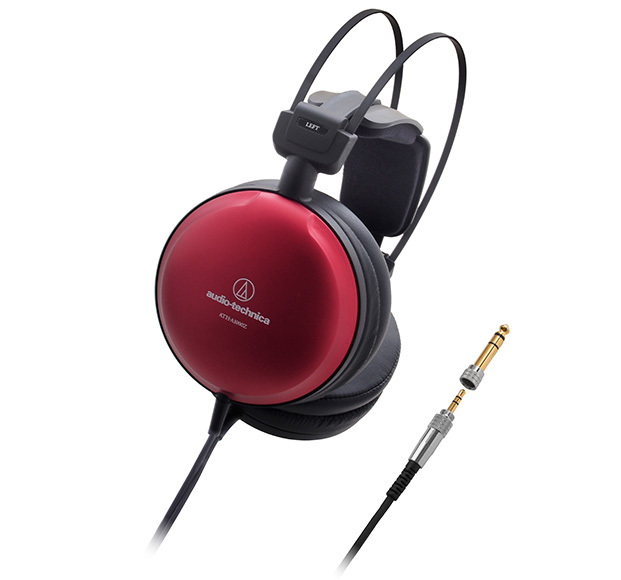 Headband of Audio-Technica ATH-A1000Z has auto fit mechanism for comfortable use by users with different head sizes; headphones are supplied only in crimson color variant. Package with Audio-Technica ATH-A1000Z contains : screw-on adapter to TRS 1/4″ jack plug also with gold-plated contacts, warranty card and user’s guide. Headphones are very professional : they have large membranes, very wide reproducible sound frequencies range, very high max input power and good sensitivity, their price is according : goes up to 680 USD. 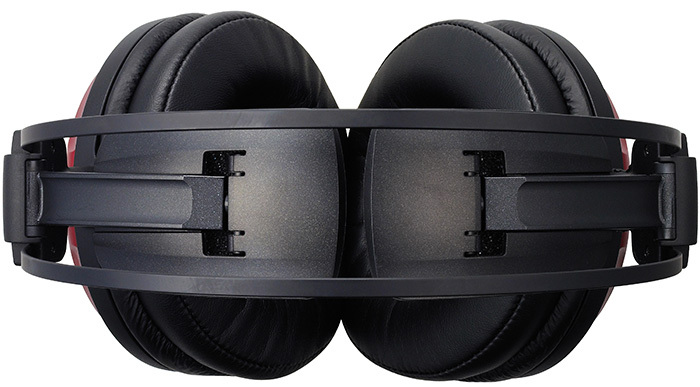 For their characteristics, they are not overpriced, because headphones are oriented for very professional studio application; but they are not needed for simple high quality audio and music reproduction : for this purpose there is ability to buy much cheaper consumer level or professional studio entry level 40 or 50 mm monitor headphones with good characteristics. If compactness and small mass of device is needed the most, then there is ability to buy much cheaper in-ears headphones, which do not provide the same quality of sounds frequencies reproduction, as monitor headphones, but they are very light, comfortable and have small sizes. Which is very important during sportive exercises and trainings; also cable of such headphones often has slider and clip, which prevent its tangling and clinging to clothes and surrounding objects.